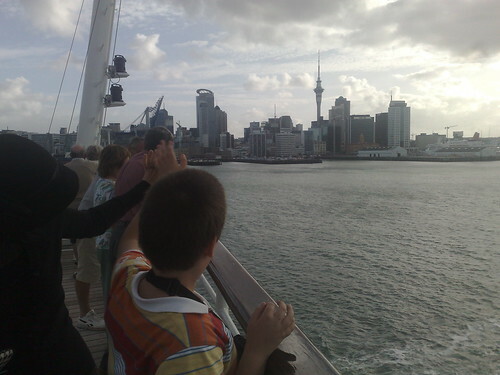 Here’s a last look back at Auckland. What a great city. Mark has got over his bout of queeziness but now both Liz and Emma are feeling sea sick from the movement of the ship. Lilly thinks that even though she is 6 she should be going pm the teens club instead of ‘Peter pans’ for the 4 to 8 year olds. I fear she may be right!